Hager holds a bachelor's degree in English from the University of Texas at Austin. 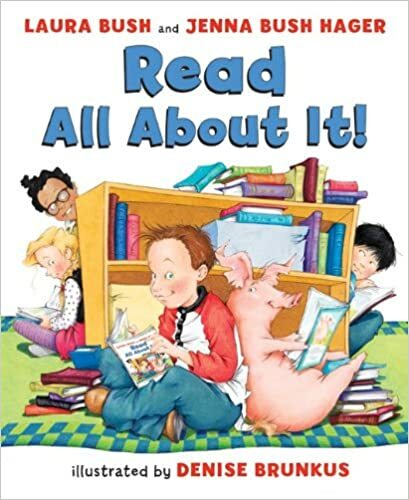 She is also co-author of the children's book Read All About It! Hager is the daughter of former U.S. President George W. Bush and First Lady Laura Bush. In 2008, she married Henry Hager. On April 13, 2013, she gave birth to daughter Margaret Laura "Mila"
In 2006, Jenna Hager traveled throughout Latin America as part of her work with UNICEF where she had an up-close view of children and teens living in poverty. As she listened to the stories of those struggling through severe hardship, she met a young woman named Ana. Ana was a 17-year-old single mother with HIV who suffered through years of abuse and neglect. Moved by Ana’s own courage, resilience and determination, Hager was inspired to write Ana’s Story: A Journey of Hope. In a presentation based on her New York Times best-selling book, Hager puts a human face on the startling conditions that afflict millions of youth around the world. Hager shares Ana’s meaningful life story to motivate people to triumph over adversity and become involved in caring for and supporting those members of society that need help.